Today we hit you with the release of DS:GO and Competitive Season 2! As well as a bunch of new task custom items to get your hands on! Today marks the end of Competitive Season One! We are very glad to announce the winners of season one as follows! Each of these winners will receive 1000$ store credit as well as 150$ Amazon Gift Card! Please contact Drax to organise delivery of these rewards! 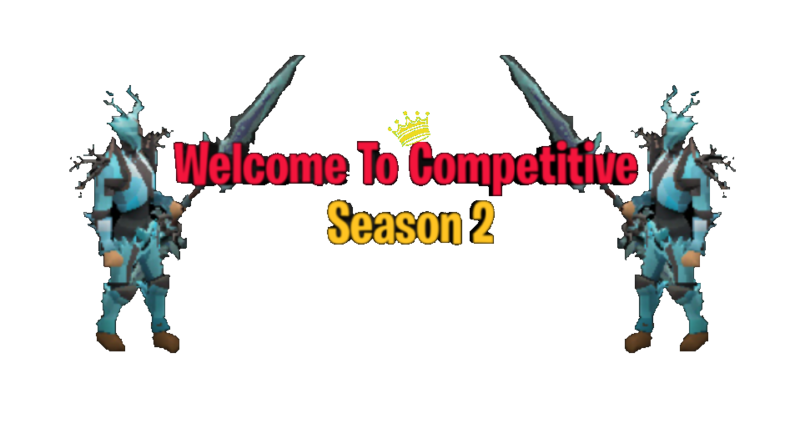 As the season draws to an end we are proud to announce season two! You can read a full guide on Competitive Season Two HERE! We have made a number of changes to Competitive Season Two! We have swapped the Bank Value Category for Most Achievement Points! These can be gained by completing Achievements or by winning::trivia events! You can view a leader board at::train to see who has the most achievement points! 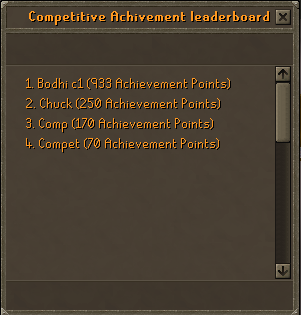 We have also updated the rewards you get for achievements for comp mode accounts! This should give you an edge and make it easier to achieve high levels of gameplay within the month long period! Throughout the season we will be running Competitive Drop Events. These will require you to get a certain drop to win an award! e.g. 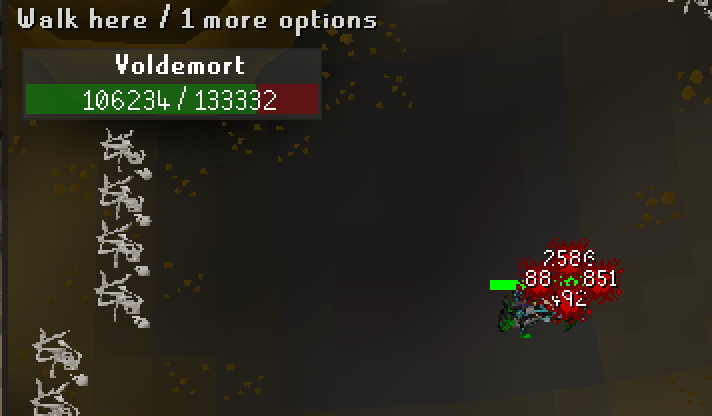 Next person to get an Oblivion Scythe drop from Oblivion Dragon wins! 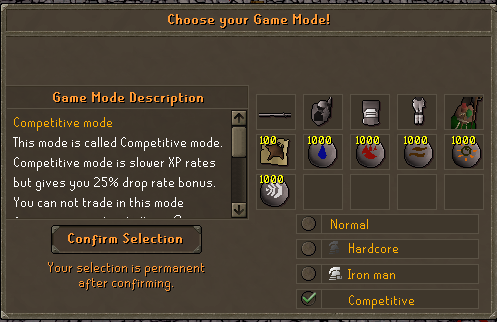 You can check the current drop event by typing::whatdrop on any competitive mode account! These competive mode drop events will win an instant 50$ 100$ or 250$ store credit scroll which can be redeemed with any admin for store items or customs! For those who participated in this seasons competitive mode that want to continue using their same competitive account for this season, players can now Prestige their comp accounts! By prestiging, your account will be reset and you will gain the Prestige Competitive Account Rank. This rank will be able to compete in Competitive Season Two with a few new perks. You will also gain the overhead Prestige Competitive Icon to show off your dedication! Here at Dreamscape HQ we have been developing a new web game that will allow you to earn rewards in game! This hugely exciting new box based game allows you to spend keys opening boxes and earning rewards! We pre-released DS:GO on Monday and people have already won some huge prizes! DS:GO is now on general sale! To play the game you will need to buy keys! 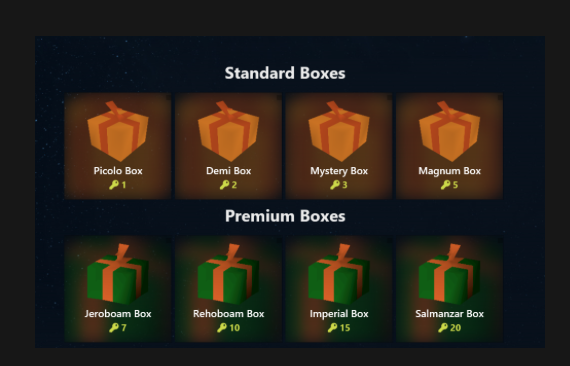 There are currently 14 different boxes to chosefrom all with different rewards! The more keys you use the higher the rewards! For a full list of possible loot click on the box on the site and scroll down to see what is in each box! Built into the web game is a new system for luck! The more times you spin the same box, the higher your chances of getting a rare or super rare reward! In order to both provide value for our Platinum Partners as well as help free up space at raids, we have added platinum raids! Platinum Partners will now be able to type ::platraids to access fully instanced versions of our 5 main raids! Including private raids with: Voldemort, Vendura, Diablo, Raiden and the O.G. Dragon! This was originally to be a feature of Platinum Zone (coming soon) but was brought forward to allow our Platinum Members a space to use their SUPER OP custom weapons without causing any issues for other players! Extremely OP Arrow slot magic booster! 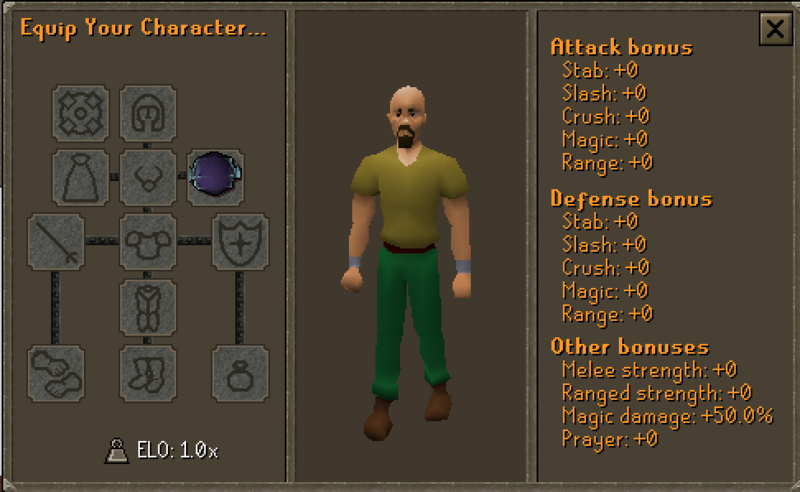 This aura is every lvl 3 aura combined! Ayy lit update!!! Totally hyped for season 2!!!! Loving the update hella! Thank you for releasing the update! and ehhh keep it up the hard work and dedication! Admireable! Looks cool! Cant wait to try out competitive mode! So exciting! This looks great! This is super super sick! Can't wait to see all this in action! Woohoo! Lets do this, great update mate. Wow fantastic news, congrats to the competitive winners! Cool stuff! Good luck everyone. Interesting update! Hope season 2 goes well for everyone!! Sick update guys! Really impressed! Keep up the amazing work, always appreciate all your hard work ;). Late reply but great update guys!@! Nice update to comp mode, loving how ds;go works. Cool update. Gz to all the winners hopefully next season is just as competitive!